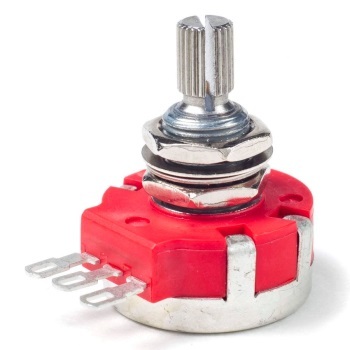 Dunlop’s Super Pot Potentiometers are high-performance volume/tone pots that are made to last a lifetime. Resistant to dust and corrosion, they provide a smooth audio-style taper that will never sound noisy or scratchy. They’ve been tested at over 7 million turns--after that, we stopped counting. Put a set of these pots in your instrument, and they just may be the last you ever buy. Performance is everything. Dunlop Electronic Parts are offered for sale with the qualified technician in mind. If you do not have experience installing electronic parts, please have your installation or repair performed by a qualified technician.